Recent scientific research has helped to forge a connection between borage oil and cancer treatment. Please consult with your physician if you wish to try any alternative remedies as part of your cancer treatment plan, and tell your doctor about any herbs, supplements or products you're taking. The research that has brought supplements such as borage oil to light in the realm of cancer treatment focuses around a substance called gamma linolenic acid (GLA). 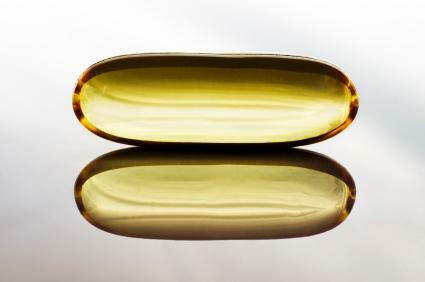 GLA is an omega 6 fatty-acid that is actually formed within the human body during the metabolism of linolenic acid. However, there are also food sources of GLA that include egg yolks and various oils derived from plants such as the borage flower, the evening primrose, and black currant. GLA is very anti-inflammatory and, according to the University of Maryland Medical Center, omega 6 fatty acids such as GLA have been recommended for everything from eczema to rheumatoid arthritis. Only recently, however, has gamma linolenic acid entered the scene as a possible cancer treatment. A few studies have shown that GLA has the potential to inhibit the growth of cancer cells in laboratory conditions. Though this research is promising, it is still recent, lacking long-term observation, and no published human studies have been executed. Such details are important when an individual is exploring the connection between borage oil and cancer treatments. If further studies, particularly research involving humans, indicate that gamma linolenic acid is effective at preventing cancer growth, then link between borage oil and cancer treatment will be far more sturdy. Borage oil contains a high content of GLA, higher than that of black currant or evening primrose oil. Should GLA prove itself as a cancer-fighting supplement, borage oil will be at the top of the supplement list for cancer prevention. The fact that no human studies have been done with GLA that indicate cancer-fighting properties is still a significant factor because dietary elements function differently in the human body than they do when viewed under laboratory conditions. However, persons already engaged in cancer treatment can discuss such medical information with their doctors, as it is unlikely that adding borage oil to a treatment regimen will produce deleterious effects. Also, according to Cancer.org, the majority of studies involving gamma linolenic acid have utilized evening primrose oil, not borage oil, as the source. Hence, it is still difficult to prove that GLA is the isolated substance causing the observed anti-cancer effects. There could be many cofactors and substances within the evening primrose oil that may have worked in tandem with GLA to prevent the growth of cancer cells. Furthermore, it cannot be surmised from such research that borage oil will produce the same effects. Lastly, borage oil has not escaped its own controversy as a supplement. Parts of the borage plant are known to harbor a toxic substance called pyrrolizidine alkaloid. Although pyrrolizidine alkaloid is found only in the leaves and stems of the borage plant and borage oil is derived from the plant's seeds, contamination may occur during processing. Over time, persons exposed to this toxin may incur liver damage or even cancer, so anyone looking to supplement their health regimen with borage oil needs to check the product to ensure that it is free of such elements. Borage oil can be found in most health food stores in either capsule or liquid form. It is often combined with flaxseed oil in order to enhance the health properties of both oils by balancing oil the omega fatty acid ratios. Such products represent an advantageous formulation as there are substances contained within flaxseed oil that have also exhibited cancer-fighting properties in laboratory studies. Again, it is very important to view borage oil objectively when you are considering it as an addition to your health protocol. Always discuss any supplements you are taking with your doctor. If your doctor is unfamiliar with the specifics of the product, but does not veto its usage, do not take more than the recommended dosage that will be listed on the product's label. Moreover, be sure to view your addition of borage oil as more of a dietary supplement than an actual cancer treatment, as current research does not provide enough information about the product to make it a credible cancer treatment.